Now that Masters week is well and truly underway, it is time to take a look at three players who are in with a huge chance of picking up their first career major, this season. One of them may get the job done as soon as Sunday by claiming a coveted green jacket, whilst others may be more suited to another of the marquee tournaments that are still to come in 2018. 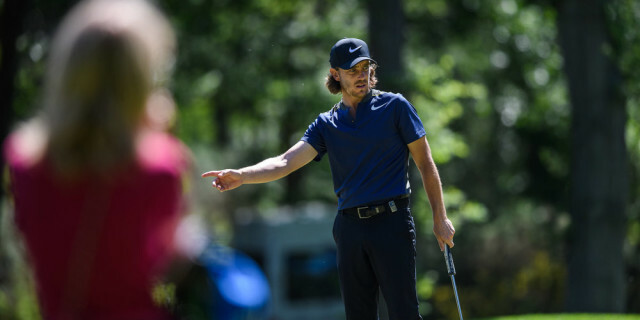 First on the list is Tommy Fleetwood, winner of the 2017 Race to Dubai and the golfer that has arguably come the furthest in terms of performances and consistently being in contention over the last twelve months. Having seen off a fellow Englishman, Justin Rose, who put up a late rally, Fleetwood earned the title of Europe’s number one, and rightly so. Last season, the 27 year-old won twice on the European Tour and managed to finish inside the top ten on three occasions on the PGA Tour. Included in these top ten finishes was an impressive week at the US Open, in which he finished solo fourth as Brooks Koepka went on to lift the trophy and claim his first major. Fleetwood needed to adapt to life as a parent towards the back-end of last year and now seems to be happier than ever out on the course. The beginning of the current season has seen him play some solid golf and even an impressive defence of his Abu Dhabi HSBC Golf Championship, in January. Having established himself as one of golf’s top talents, Fleetwood has shown that he can keep focused under pressure and it looks as if a major win is now a matter of ‘when’ rather than ‘if’. Personally, I think that with Fleetwood, lies England’s best hope of having a major champion, this season. Although, Paul Casey and Justin Rose may disagree. Next up, it’s Mr. consistent. 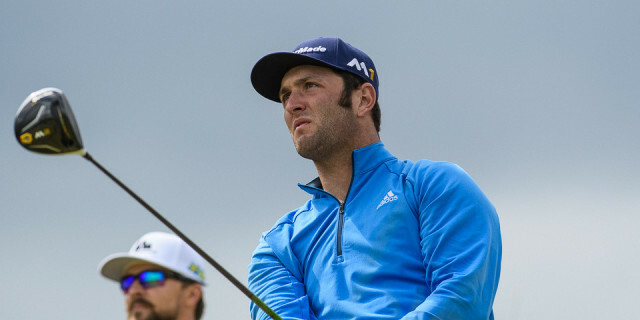 At the young age of 23, Rahm has become a household name on both the PGA and European tours, whilst climbing to number three in the Official World Golf Rankings. Having only turned professional in 2016, his rise to the top would perhaps be second only to the man mentioned above, Fleetwood. The Spaniard is perceived by many as one of the ‘good guys’ on tour and is near the top of many spectators watch-lists when it comes to attending live events. This image was enhanced further as he donned a number 42, Pat Tillman jersey on the 16th hole at this year’s Pheonix Waste Management Open. Rahm and Tillman were both sportsmen at Arizona State University but the latter sadly passed away whilst serving the United States in Afghanistan. An action that oozed class got the whole sporting world talking and it is hard not to like such a positive character. You could not realistically be frowned upon for suggesting that this year could be the year that Rahm gets his hands on one of golf’s most prized titles, as I believe that all the signs are present. His game has been in very good shape for a long time now, and he has been consistently showing that he is able to compete with even the strongest of players. Long with the driver and good around the greens, Rahm has all the makings of a major champion but I believe that his ability to excel in a range of conditions, gives him a real edge. The Spaniard won his first European Tour event in July of last year at the Dubai Duty Free Irish Open. It’s fair to say that the weather that week was less than delightful as rain fell for much of the tournament. However, Rahm showed that he could battle the elements, so there’s no reason why he should be overlooked for one of the trickier majors, weather-wise, such as The Open Championship. In contrast to this suggestion, there is also no reason to steer clear of him for any of the American hosted majors. As a member of the PGA Tour, he has two victories to his name, the most recent coming in this season’s CareerBuilder Challenge, which featured slightly more favourable conditions. Thus proving that Rahm can get the job done, whatever the weather. The final player to focus on is arguably Sweden’s best chance for a major in 2018, just edging out Henrik ‘The Iceman’ Stenson. 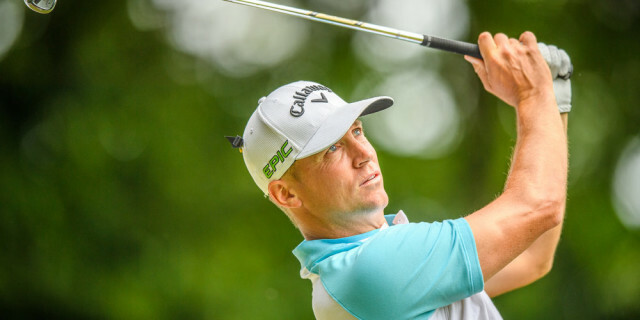 Recently, Noren briefly became the highest ranked Swedish golfer, but after the Houston Open, Stenson regained the accolade which he has held since 2013 and snuck just one place above into 14th. Noren is currently in the form of his life, and with nine European Tour wins to his name already, the 35 year-old is not short of winning experience. Despite not winning on the PGA Tour as of yet, Noren has been involved in his fair share of Sunday action. Most notably, when leading in the last round of the Farmers Insurance Open earlier this year, only to lose out in an epic play-off to Jason Day. As a natural fader of the ball, I’m not 100% convinced that the swede will find himself on top of the leader board after four rounds at Augusta National, this week. This is not due to any fault of his own, but when there are many strong drawers of the ball and some unorthodox players who just seem to click with the course, it’s hard to compete when your game doesn’t necessarily suit. However, I believe that The Open is the one for Noren. His ability to flight his iron shots a little lower than average has treated him excellently when playing in more testing conditions in Europe and this is most definitely useful when playing links golf. The evidence to suggest this is already there, as he has never finished in the top ten of any major championship, other than The Open, where he has done this twice. This year has to be his biggest chance to date, to take home the Claret Jug.